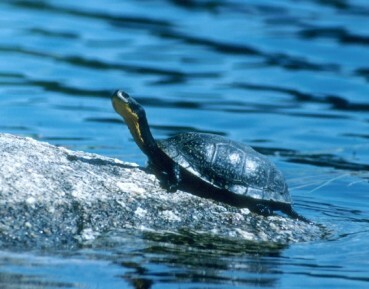 Three small disjunct populations of Blanding’s Turtle are found in central southwest Nova Scotia comprising around two hundred adult animals in total. These turtles are genetically distinct with behavioural and physical differences that distinguish them from Blanding's Turtles in Ontario and the United States. 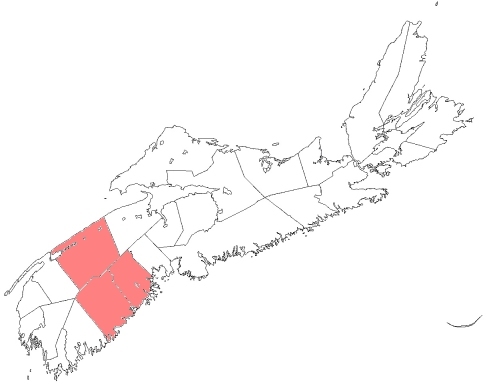 Predators like the raccoon and human alteration of lake shores (water level) used for nesting are the major threats to this species in Nova Scotia.